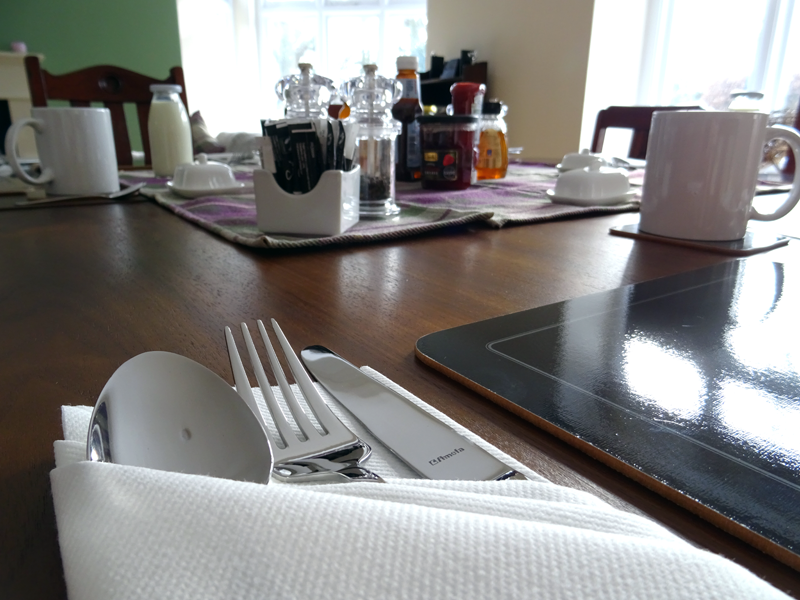 Breakfast is served in the guest dining room/lounge between 8am and 9.30am (earlier can be accommodated with prior agreement). 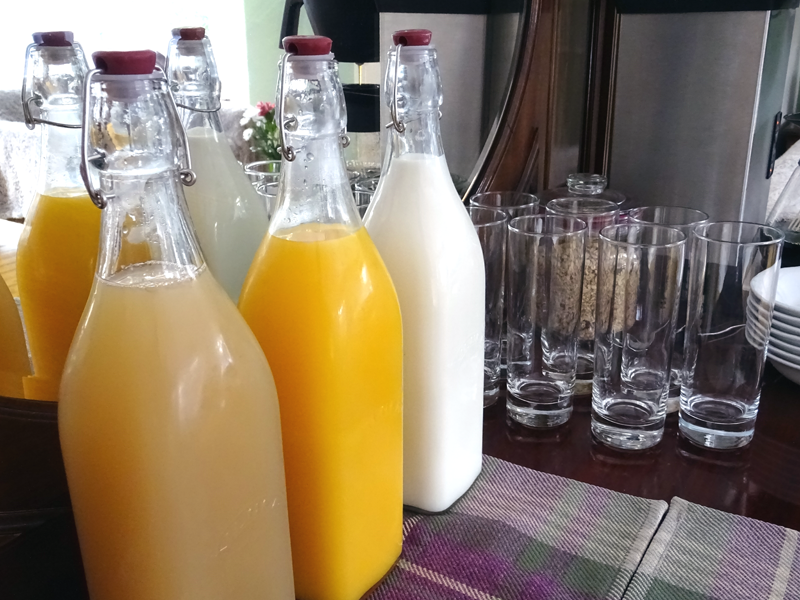 Help yourself to fruit juices, freshly made fruit salad, yoghurts and cereals from the breakfast buffet. 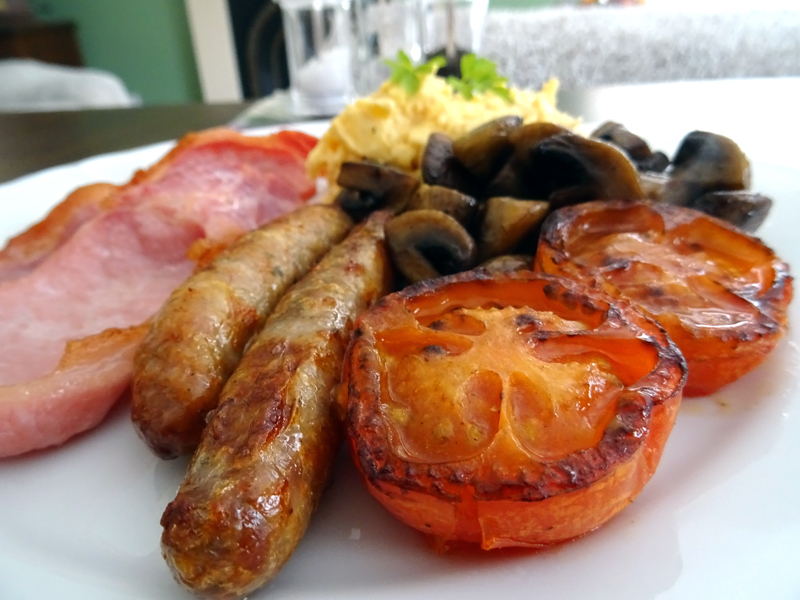 Then choose a full English, or any combination you like, from locally sourced farmhouse sausages and smoked back bacon, buttery mushrooms, oven roast tomatoes, baked beans and free range eggs cooked to your liking. 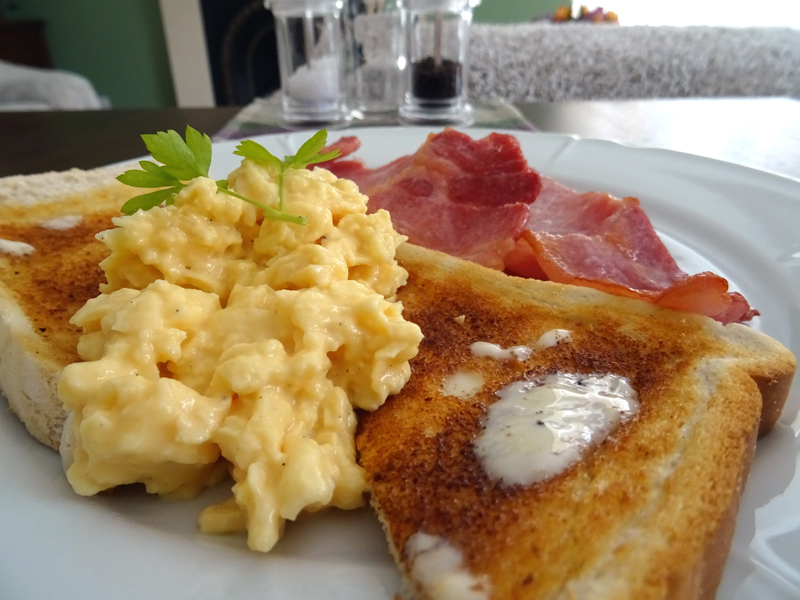 As a lighter option we also offer smoked salmon with scrambled eggs and occasional breakfast specials. 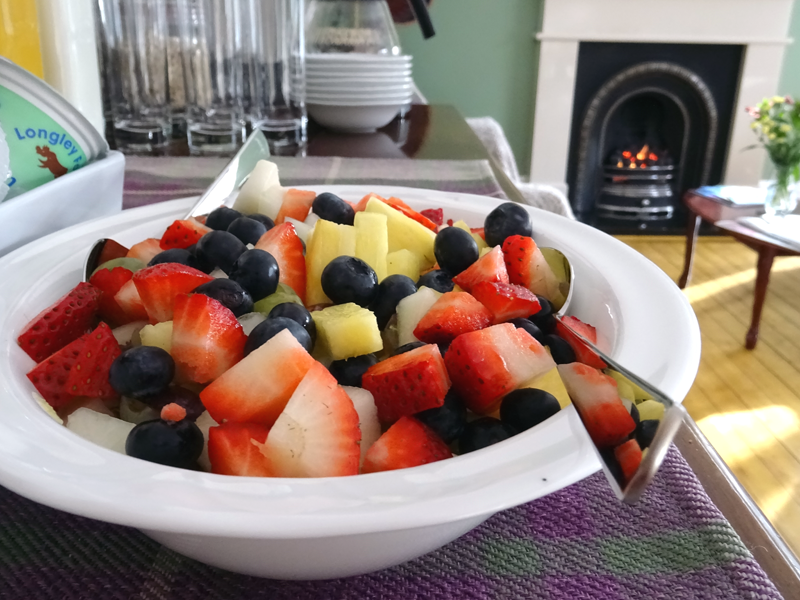 All are served with unlimited toast, tea and coffee. 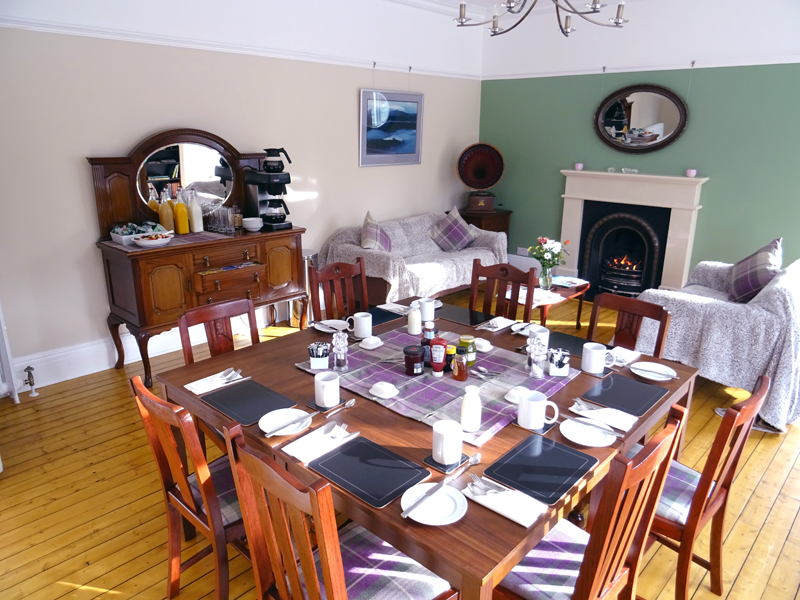 We also cater for vegetarians, special dietary needs, gluten free etc, with advance notice. 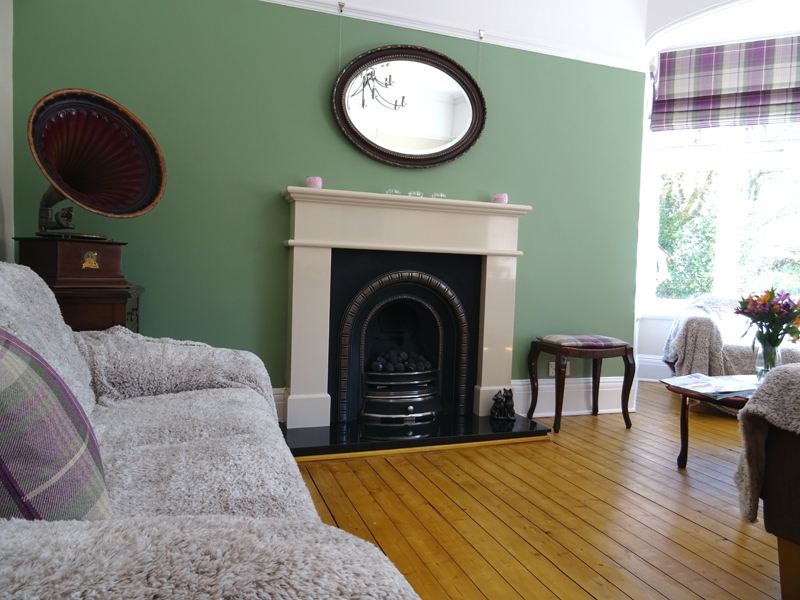 After breakfast feel free to relax in the lounge with a cuppa. 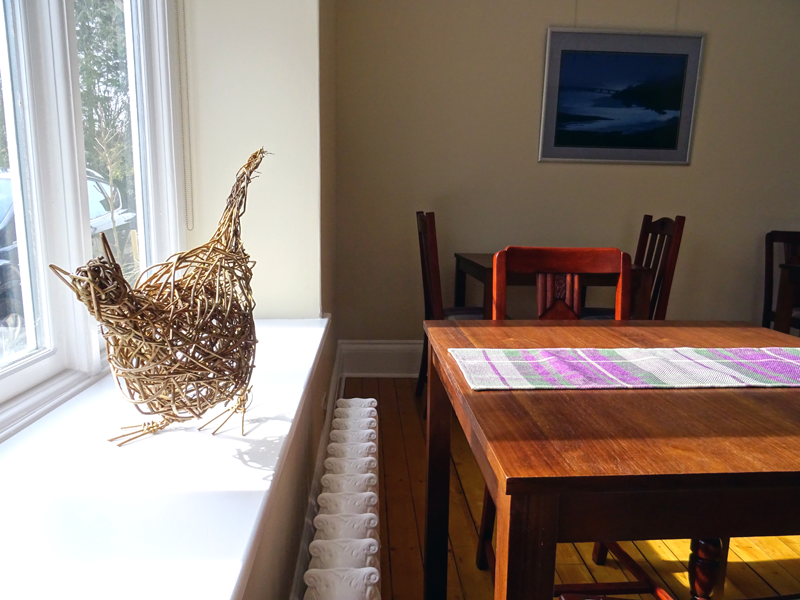 Read a newspaper or magazine, or simply watch the birds feed whilst planning your day.